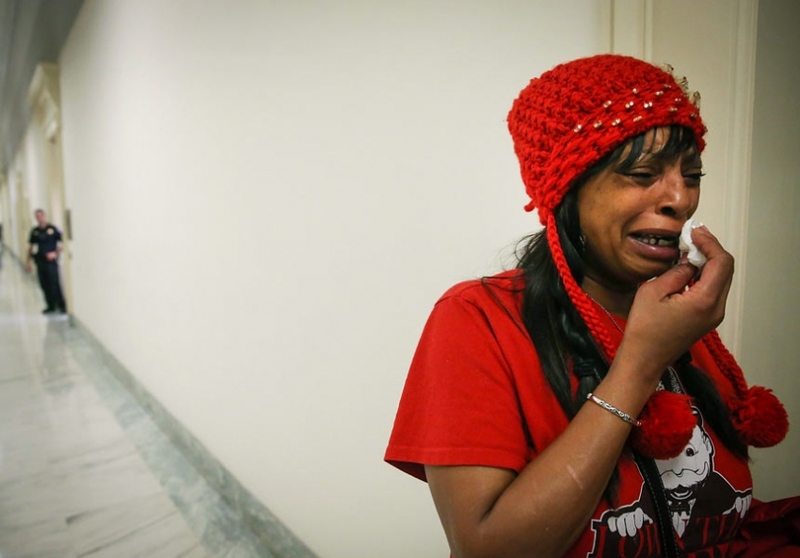 Flint threatening 8,000 residents with foreclosure if they don’t pay for poison water. 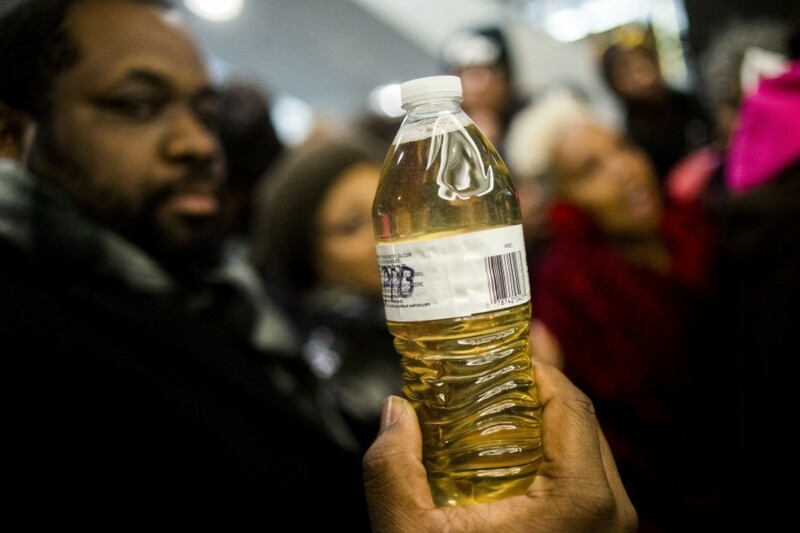 Just when you thought the horror story in Flint couldn’t possibly get any worse… it just did. Today more than 8,000 people in Flint have been told they could lose both their water supply and even their homes, if they continue to refuse to pay bills for heavily contaminated water provided by the Michigan city. 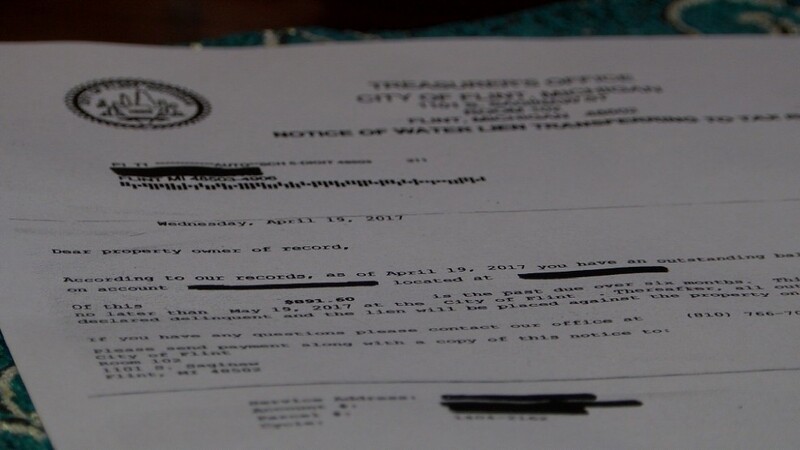 The residents have been sent water shutoff notices and threats that the city will take financial possession of their homes until they pay their water bills — or forever if they cannot make payments on looming deadlines. The city says the threat of taking financial control of property, known as a tax lien, is necessary because it is not bringing in enough money from its water utility. But that very same government, which serves one of the nation’s poorest cities, is still pumping dirty water through the tap after receiving close scrutiny for having dangerously high levels of lead in their drinking water. Water Notice From Flint Dept of Water to 8,000 Resisdents. Melissa Mays, a mother and Flint resident who started the advocacy group Water You Fighting For, said that when she began seeing water shutoff notices months ago, she and her husband determined that they would simply let the utility shut off their water and they would begin living solely on bottled water. Her family has already stopped doing laundry at home, cooking with tap water, and has begun limiting their showers to seven minutes because the water is so toxic. They still don’t drink the water because the filters grow bacteria, she said. She is now scrambling to pay an $891 bill by May 19 and will have to miss house and car payments to keep their home. Woman in Flint discovers she will lose her home for unpaid water bills. Some of her neighbours have simply decided they’ll have to walk away from their homes. Others don’t know what they’re going to do. Ms Mays said there’s a sense of panic in Flint. City officials say that they have no choice but to take the strong measures. The state of Michigan stopped subsidising Flint’s water in March after the state Department of Environmental Quality found Flint’s lead levels tested within federal limits. That subsidy paid $40m to pay for roughly two-thirds of the residents’ water bills. “We have to have revenue coming in, so we can’t give people revenue, I mean excuse me, give people water at the tap and not get revenue coming in to pay those bills,” Al Mooney, a representative with the city’s Treasury Department, told a Fox 66 News.